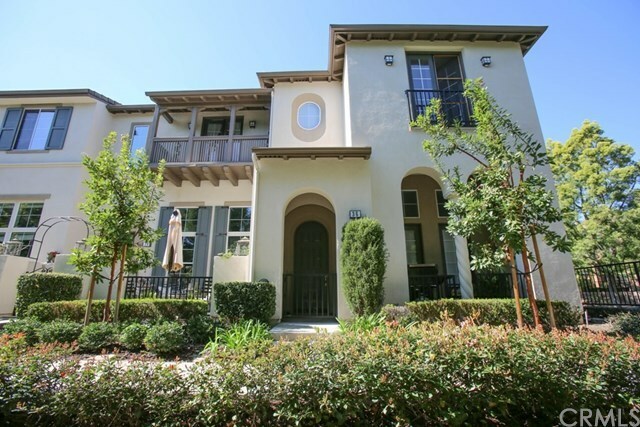 Beautiful Townhouse with View of the Park For Sale in the City of Irvine. This End Unit is Located in the Highly Desirable Gated Community of Monterey in Northpark. Property Features 3 Bedrooms and 2.5 Bathroom with Direct Access to 2 Car Garage, Gorgeous Kitchen with Granite Countertop, Cathedral Ceiling in Living Room with Plenty of Natural Light, Master Bedroom With Walk-In Closet as well as a Soaking Tub & Separate Shower, Hardwood Flooring Throughout the House, Great Floor Plan to Entertain with Friends and Family. Property is Located Well Kept Guarded Gated Community and Close to Schools, Shopping center, Restaurants & Freeway.